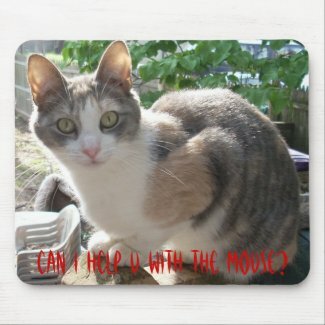 What is a dilute calico cat? First, let me describe what a calico cat is: Calico is not a specific breed, it is a coat pattern. A calico is a cat with a three-color coat. The coat must have distinct patches of white (main color), black and red (also called orange). You will find that the calico pattern occurs in different breeds, including the American Shorthair, Japanese Bobtail, Manx, and Persian. Are you interested in learning more about these unique felines? 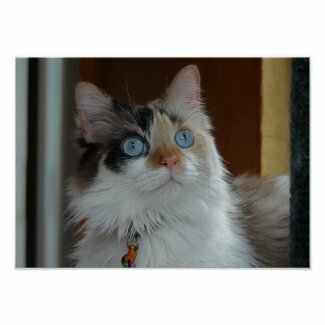 This article has information about breeds with the calico pattern. Now, dilute calicos also have a tricolor coat. But the red and black patches are diluted (or washed out). So red turns into cream and black turns into blue (gray). If you or someone you know has a dilute calico kitty, you may like the following items. They are brought to you in affiliation with Zazzle.com. These articles make wonderful (and budget-friendly) cat lover gifts. 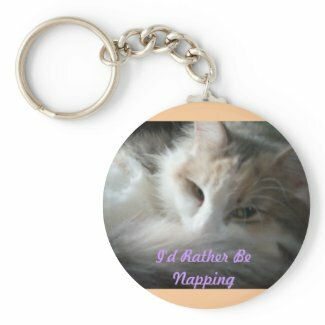 I hope you like this dilute calico gift ideas. For more on calicos, please check the pages listed below. Is there a calico cat breed?